Madeleine McCann news: Kate McCann's discovery of the dinner booking. 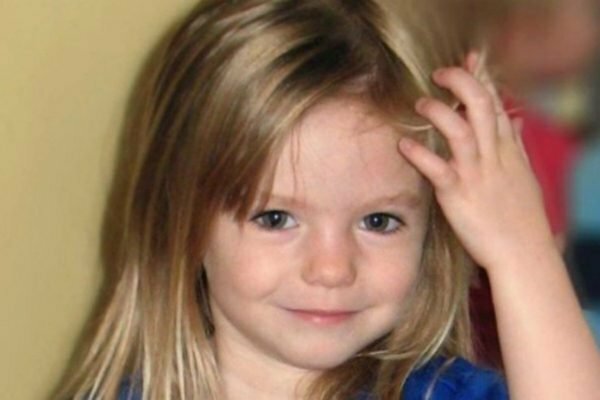 The horror discovery about Madeleine's disappearance that still haunts Kate McCann. The world has been obsessed with Madeleine McCann ever since the three-year-old vanished on a family holiday to Portugal in 2007. Twelve years later, in the year that little Maddie would have turned fifteen, The Disappearance of Madeleine McCann documentary series has dropped on Netflix. Brimming with detail, the documentary is an emotional rollercoaster for any viewer. But there’s a small detail that’s revealed so quietly, almost at the end of the documentary, that you may have missed it. But according to Robbyn Swan, who co-wrote Looking for Madeleine in 2014 and is featured throughout the show, when Madeleine’s mum Kate McCann discovered this particular piece of information, she could never get it out of her mind. In fact, it was “the stuff of nightmares” for Kate and Gerry McCann, Swan said in the documentary. In her own 2011 book about the case, Madeleine: Our daughter’s disappearance and the continuing search for her, Kate reveals that because the group’s children would be asleep in their hotel apartments at dinner time, they requested that they dine at the same table every night – the one with the best view of the apartments. It was only after Madeleine disappeared without a trace, Kate discovered that the person who took the booking wrote that information in the reservation book – meaning it became clear to anyone working at the restaurant, or any prying member of the public, that the children would be unsupervised in their rooms. According to Swan, the discovery was one of the most upsetting to the McCanns; the knowledge that such intimate information about Madeleine, and her then two-year-old twin siblings Sean and Amelie, was so open. “To my horror, I saw that, no doubt in all innocence and simply to explain why she was bending the rules a bit, the receptionist had added the reason for our request: we wanted to eat close to our apartments as we were leaving our young children alone there and checking on them intermittently," Kate wrote in her book. “We now bitterly regret it and will do so until the end of our days." Speculation has continued to surround the case, with many theories presented as to what actually happened to Maddie; including suspicion about the McCanns themselves. From the use of cadaver dogs, to following leads about other missing children in the area, it still seems that we are no closer to understanding the events of May 3rd, 2007. What we do know is that the well-intentioned note in the Ocean&apos;s Club reservation book could have put the children at risk, providing a would-be abductor with the information they needed to commit a crime. But until Madeleine McCann is found, we will never know for sure how crucial that information was. And sadly, neither will Kate McCann.